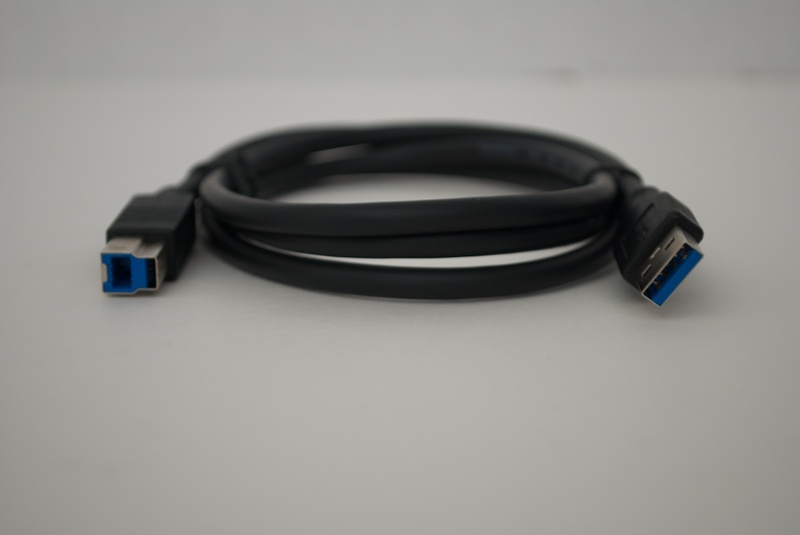 The completed spec for USB 3.0 was introduced to the masses in 2008 along with it’s SuperSpeed namesake, and since then we’ve been waiting for USB 3.0 devices to make our Hi-Speed USB 2.0 devices feel inadequate. January 2010 comes around and we finally start to see motherboards that can actually use USB 3.0, but sadly few devices to use it with. 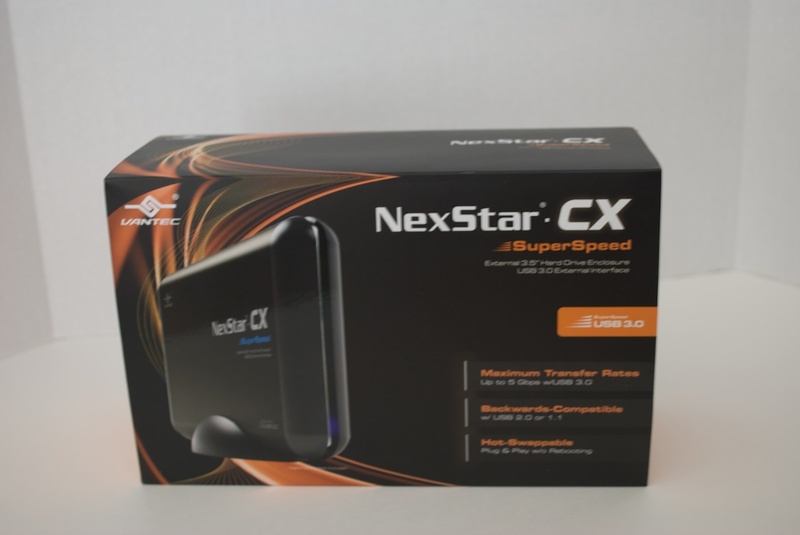 That brings us to today, where our friends at Vantec have joyously given us a wonderfully fast USB 3.0 external drive enclosure, the NexStar CX. 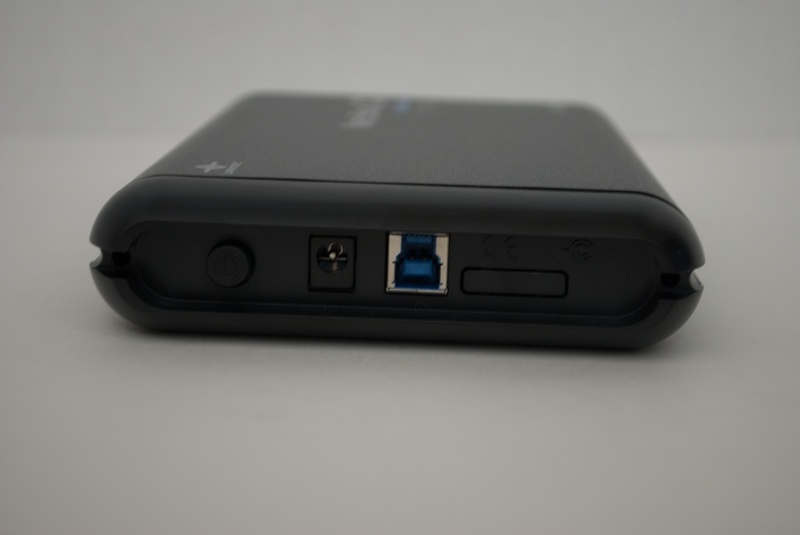 This enclosure is for a 3.5″ SATA drive and transfer data at a wopping 5Gbps! Yes, that’s more than 10 times faster than USB 2.0’s 480Mbps. While that is the theoretical maximum, the spec does see 3.2 Gbps to be achievable. Still, super fast. So, now that I have you interested, lets see how fast USB 3.0 actually is. I will test using some off the shelf benchmark software, as well as moving several files of varying sizes and checking the speed using Window’s transfer speed display. But first, a Closer Look at the NexStar CX. Here you can see Vantec flaunting some nice USB 3.0 specs such as the previously mentioned 5 Gbps transfer rate of USB 3.0. Note the Hot-Swappable feature and keep in mind that this isn’t anything new. This is strictly a marketing gimmick. All USB drives are hot-swappable. Also take note, the 2TB maximum is based on currently available capacities. When larger drives become available, baring any huge changes to how drives work, larger capacities will/should work. On a final note, this enclosure only support up to SATA II which means at most you can expect 3Gbps. SATA III support would definitely be necessary to come close to the 5Gbps estimated speed. 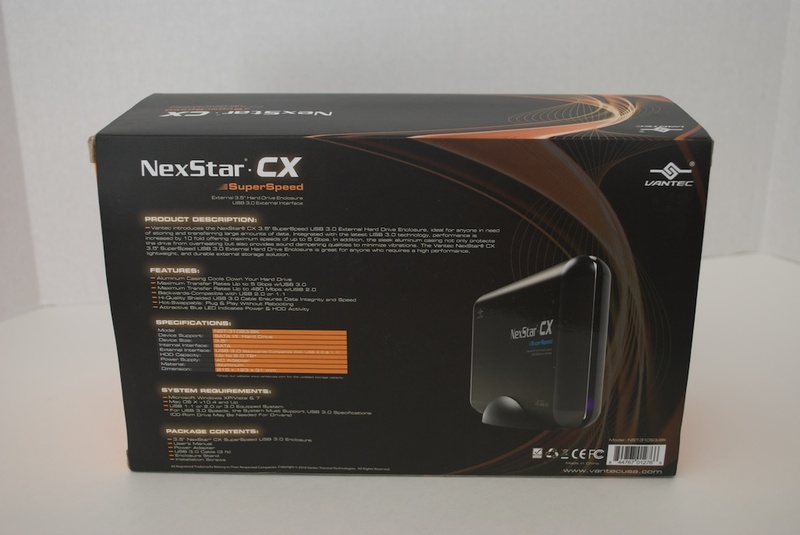 The packaging for the NexStar CX is rather nice, yet standard. It’s got a nice set of graphics on the front with some key features, and a full list of features and specifications on the back. Inside we have a nice foam box housing the NexStar CX and it’s accessories and manual.